Clayton Diving Club: Clayton Diving Club Inc and "Shipwrecks of Clayton". Clayton Diving Club Inc and "Shipwrecks of Clayton". 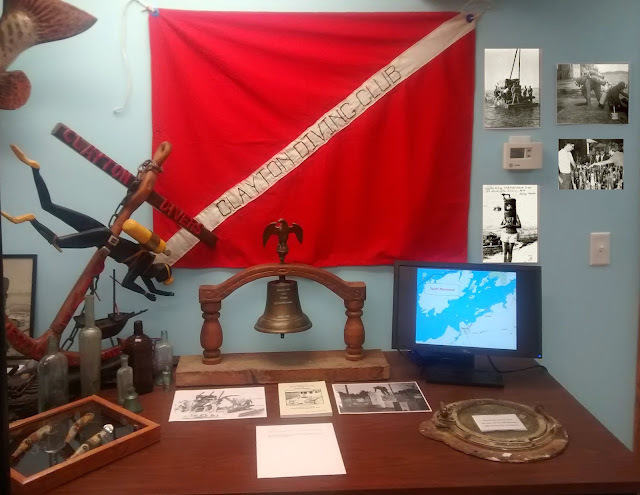 New display at the Thousand Islands Museum, Clayton featuring early memorabilia of the Clayton Diving Club Inc. and a video presentation of "Shipwrecks of Clayton". These wrecks were found by some of the local pioneer scuba divers from the 1950s to 1970s.